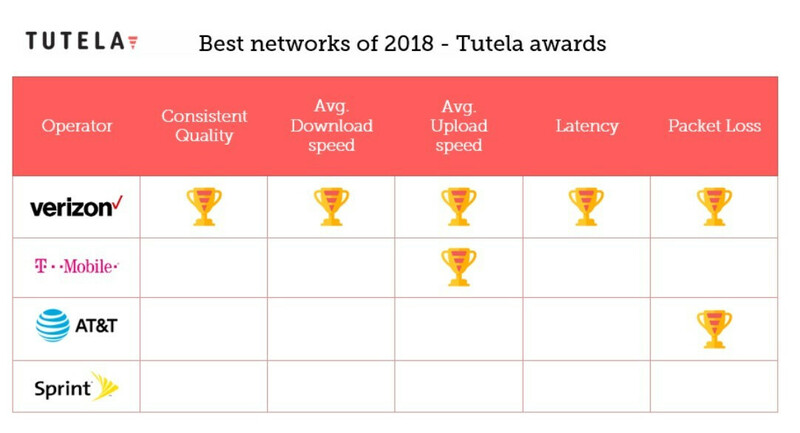 Hot on the heels of the P3 engineering consultancy group testing Verizon's network as the best overall performer in the US, now comes another top score for Big Red, this time from Tutela. The firm does crowdsourced network testing, but not with a single speed-measuring app, but rather in partnership with popular app developers. Thus, its testing software works in the background to gauge loading and latency performance of apps that the test subjects use every day, relaying a real-life performance indicator, rather than an isolated speed score. With more than 240 billion network measurements from 2.8 million American handsets taken by the end of August, and 11 million speed tests, the state of the US carrier networks has leaned in Verizon's direction. 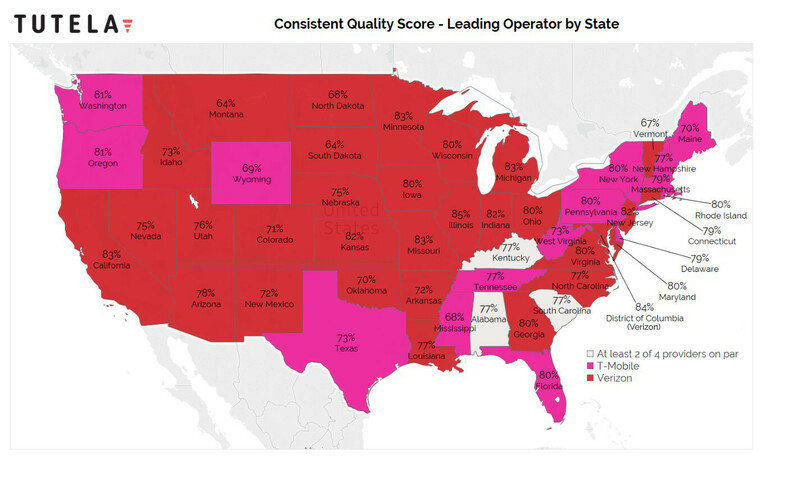 Big Red took the consistent quality award and T-Mobile came second with the biggest network imporvementyear-on-year. 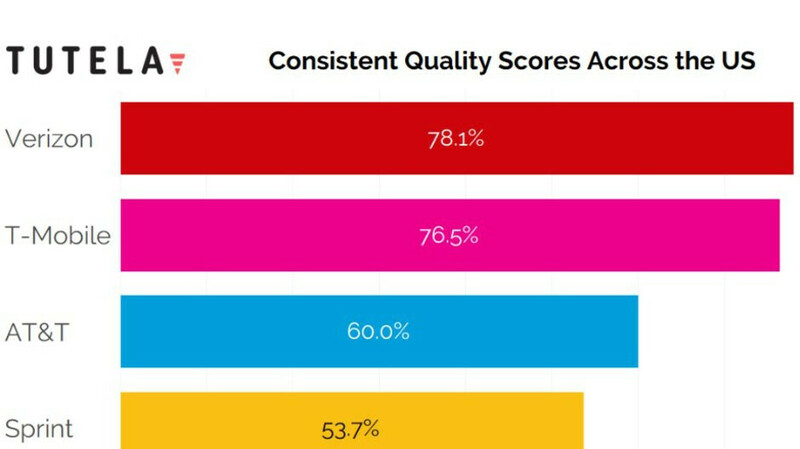 AT&T's performance in the big cities was behind the top two, but in rural areas it's second only to Verizon's. Sprint has seen the greatest leap forward in download latency, but overall speed and coverage lack compared to the big three. So far nothing groundbreaking that hasn't been tested numerous times before, but one of the key metrics caught our attention. Virtual operators like Cricket, Metro by T-Mobile, Straight Talk and Boost, offer on average 23% slower speeds than the host carrier networks they leech from. This fact, and the thinned-out extra services they offer in their plans somewhat explains the lower price tags that attracts people to their offerings. It sounds like a larger amount when you say prepaid offerings like Metro or Cricket offer “23% less bandwidth” than their host carrier. But looking at the raw numbers you’re basically comparing 11 Mbps versus 12 Mbps. Ah journalism at its finest: hyping up something that really doesn’t matter. Why didn’t you add that, for example, on Metro when they offer a 4 person unlimited plan for $100 versus T-Mobile being anywhere between $140-$160 that you are getting “23 percent less but paying 37.5% less”. Thank you for being honest, something you simply don't expect from journalists today. I use an mvno and have no intentions of ever going to a carrier. The coverage map means so much more to me than throughput. A 6 MBps connection is just find for 99% of what I would want to do, but 40 Mbps means nothing if I can't reliably connect to it. "networks they leech from" - no one has forced the networks to support the MVNOs they've chosen to work with. They get cash, and sell somewhat reduced services. Think of it as in the same vein as buying gift cards from 3rd parties, such as supermarkets. Part of the calculation that goes into doing that involves assumptions about you losing the card or tossing it when there is only a small amount left on it. Both parties have calculated that it is to their benefit to do it. I was using Tmo b4 and now Metro, no difference in speed but price. California here.